There are many approaches to SEO (Search Engine Optimization). Our approach is simply to be ‘Champions of Content.’ By focusing on developing and distributing quality content in a variety of formats such as text, images and videos; we can help any business, large or small, improve their search engine visibility. We dig in and invest in learning who you are, what you have to offer and what makes you different. Once we understand this, we will benchmark your current search visibility, research your competition and create a custom SEO strategy to help you methodically and continuously gain market share. We can’t guarantee Top 3 non-paid search results on highly competitive keywords (nobody can) but we guarantee we can measurably increase your overall search visibility and non-branded/organic search engine traffic. The quality of your content is the key to success. The less you use SEO tricks and spam, the better the chance you have for sustainable results and keeping your users engaged. Then they’ll be more likely to take the actions you desire such as subscribing, requesting information, joining or purchasing. Developing, optimizing and as appropriate distributing content that maps to different stages of user intent. For example, with an ecommerce site that sells products it is essential to provide content that maps to the complete buying cycle. If you provide useful content for people searching at these various stages you are more likely to drive them to your site and keep them on it. Developing, optimizing and as appropriate distributing content in multiple formats and on a variety of sites. This is critical to generate quality inbound links, build awareness, and increase the possibility of multiple listings on a search engine result page (SERP). It is possible for your content to occupy more than one if not all ten of the search engine results on a search engine by using this tactic. Research and analysis of your company, website, and competition which helps us develop the overall SEO strategies that we will employ to meet your goals. Extensive research of what your audience is searching for and what their intent is. Based on your goals, we provide recommendations on which keywords and phrases will be most beneficial to optimize. Or, if you prefer, you can identify which keyword phrases you would like to target. Rewriting and optimization of the Title Tag, Meta Tag Description, H1 Tags and Image Tags for each page of your site. A thorough review of the existing content of your site and recommendations on how to optimize the keywords and phrases that you have chosen. If needed, we have writers that can create new, optimized content for your website. If needed, creation of or revision to your existing Sitemap, No Follow Tags, Robots.txt files, etc. As well as careful link analysis to ensure you don’t have any inbound or outbound links that are broken and setting up 301 redirects to ensure proper link flow, integrity and avoid duplicate content penalties. We can work with your website designer to implement the search engine optimization recommendations or let our team make the changes directly to your website. 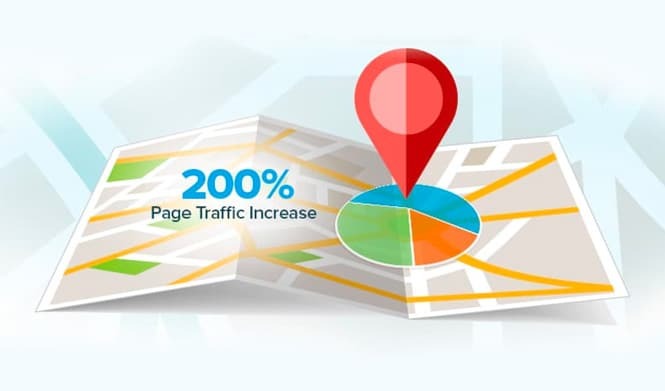 Initially we will benchmark where we start and continue monitoring search engine rankings to demonstrate increases in quality traffic and conversions (sales or leads generated) from our SEO efforts. Timely communication when the phases of your SEO project are completed. You will always know what we are working on for you and you will have direct access to your own dedicated search engine optimization expert.